East Garston is a long, narrow parish of nearly 4,500 acres in the far west of Berkshire. The village occupies the centre of the parish, through which runs the River Lamboum. East Garston Down lies to the north of the village; to the south, the ground also rises to chalk downland. Placing East Garston in relation to its neighbouring parishes puts Lamboum to the west, Fawley to the north. Great Shefford to the east and Chilton Foliat and Hungerford to the south. The name East Garston is of Saxon origin, originally "Asgar's tun". A tun was Saxon for a village or farmstead. "As" was Saxon for God, and "gar" meant spear; thus Asgar was "the spear of God". He is also recorded as Ansgar or Esgar, and was said to be the "hero of Hastings", where he was badly wounded defending the English Standard on 14th October 1066. Asgar was a procurer of horses for the king, and owned land in several counties. He witnessed many of Edward the Confessor's charters, and also the queen mother's will. He appears to have held all the cultivated land of the Lambourn Hundred, which encompassed East Garston. East Garston or Esgareston was held by Eva de Tracey in a number of documents dating from the 1200s, including the "Testa de Neville". It was known locally as Argason. 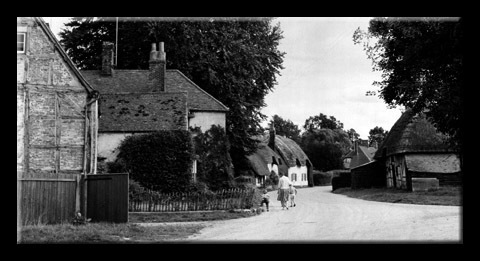 The Victoria County History of Berkshire records that the village was called Esegarestun in the twelfth century, Hesegerton and Esegareston in thirteenth, Esgarston in fourteenth and Argaston or Estgarston in sixteenth century. The introduction of the "t" in the first syllable was an early corruption, and not indicative of "east". On Saxton's map of 1574 it was Est Garston, whereas the Ilsleys were E. Ilsley and W. Ilsley. In a document dated 1599, the parish is called "Eastgarston alias Ergaston" and on maps of 1607, the name was East Garston. Willis' 1768 map of 10 miles around Newbury names the village Eastgarston, "vulgo Arguson", presumably referring to the local pronunciation. The Rocque map of the same period also mentions East Garston Down and East Garston Woodlands. 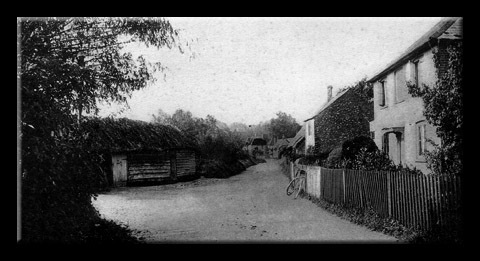 It is not difficult to see how, over a relatively short period of time, the name of the village was transformed by writers and map-makers who did not know the village, and assumed that it must be East Garston. For many years in the early twentieth century there was debate about whether to return the name to Esgarston. The local vicar. Rev. 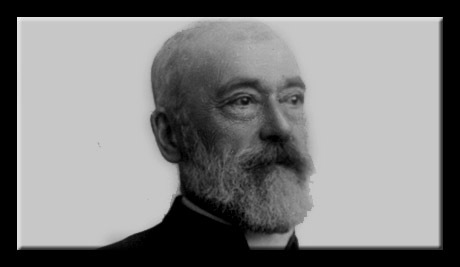 John Tudor, supported by the Rev. F. T. Wethered, argued against the debasement of the original name. In 1904 a petition was presented to Berkshire County Council for the name to be changed back to Esgarston. Eighteen landowners (mostly non-resident), 46 parishioners and 20 "friends and neighbours" signed. The opposition was quick to mobilise with a counter-petition signed by 152 people, almost all residents, claiming the change was unnecessary, confusing and inconvenient. They prevailed, but the vicar continued to use the name Esgarston. 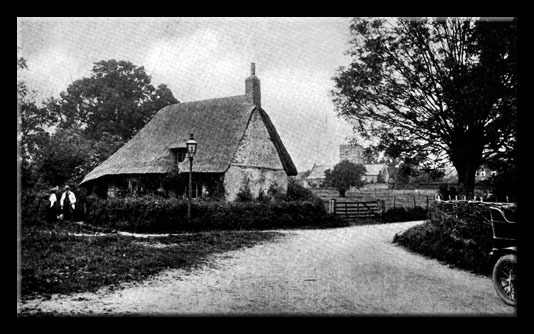 Notes in the Berkshire Archaeological and Architectural Journal of 1904, record: "It is unfortunate that the inhabitants of East Garston should have decided to cling to the corrupted form of the name of their village, in spite of all that has been done to restore the old and correct form of the word." In 1759 East Garston had an estimated 100 households and 430 inhabitants. In 1851 the population peaked at 623, but by 1891 it had dropped to 436 Worse was to follow: the population reached a low 386 in 1931. Since then it has risen, and in the 1991census was recorded at 543 people, occupying about 230 dwellings. East Garston and its surrounding area have been inhabited since prehistoric times. Numerous local sites bear witness to occupation in the form of manmade ponds, field systems, earthworks, ditches and enclosures. Fragments of pottery and metalwork suggest that this occupation was continuous from the end of the last ice age through to Roman times. In these early days, the area that is now East Garston was probably much as it is today, an open, undulating landscape of shallow-soiled, relatively dry downland. During Neolithic times, 5800-2300BC, people lived in well-organised communities, built stone circles and hill forts (of which there are a number in the area) cleared forests and constructed earthworks to divide large tracts of land. They travelled in order to trade flint and stone. The most important sign of early settlement is the remains of a long linear earthwork above the village, on East Garston Down, known as the East Garston Ditch. The ditch may have been built to divide areas of land, or to;provide a socio-political boundary to link with other ditches, such as Grim's Ditch, which is still over five miles long. Pieces of pottery found at the East Garston Ditch site during archaeological excavations include two decorated sherds dating to the late Bronze Age (1600-1050BC) or early Iron Age (1050-700BC), when a Belgic tribe called the Atrebates, originally from Belgium, had settled in the area. Other finds include mollusc shells from the type of snail that only lived on open grassland, demonstrating that there have not been forests on the local downs since the Neolithic clearances. A fair-sized rectangular enclosure at Winterdown Bottom, to the south of the linear earthwork, is mentioned in the Berkshire Archaeological Journal and recorded in an aerial photo at the Ashmolean Museum. Warren. These discoveries fit with what is known of other local areas: archaeological research in Hungerford has uncovered Bronze Age relics; the Ridgeway, oldest of the ancient tracks in Britain, is not far north of the parish; there are Iron Age hill forts at Membury, Uffington and Segsbury Camp at Letcombe Regis, tumuli near Fawley and barrows on the Lamboum Downs. The Romans invaded in 43AD, and ruled Britain for 500 years. They gave us our first written historical descriptions of the locality. Such accounts and numerous remains indicate that not only did the Romans pass through the area, but that they also settled. No village or farm was more than seven miles from an engineered Roman road, and Ermine Street ran along the southern border of the parish at Woodland St. Mary, linking Silchester and Cirencester (Corinium), both important Roman regional capitals. Another Roman road ran from Speen (Spinae), one of the earliest and most important of the military roadside stations mentioned in the Antonine Itinerary. To the south, there was a road to Mildenhall (Cunetio) just outside Marlborough. 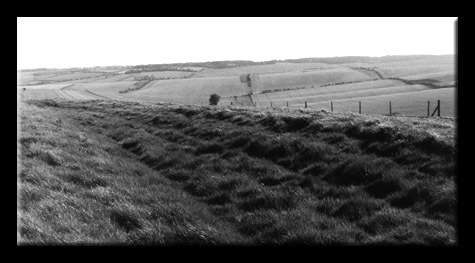 Some researchers believe that there are traces of a military way across the downs to the west of East Garston church, which could have linked the Roman road near Baydon to the Roman road by Letcombe Castle on the Ridgeway. The Roman policy was to absorb existing communities into their empire, providing an infrastructure of agriculture, architecture, road-building and military protection. Signs of this activity are all around East Garston: remains of a Roman villa just outside Lamboum, sandal-nails and boot protectors in the remains of a hut and mound on Row Down, Lamboum, and others such as a Romano-British cinerary urn found on East Garston Downs. Pottery found along the downs includes 11 Roman and four prehistoric items at Crane's Wood, 28 prehistoric and 84 Roman items on Eastbury Down and 46 Roman at Nut Wood. Local people report other Roman remains on East Garston Downs, which were ploughed over in the 1960s. early Christian form dating from c360AD, suggesting that Christianity had reached the area since its adoption by the Roman Empire in 31 SAD. The Romans left in 410, after which there was a long period in British history that is largely unrecorded. The Christianity of Roman Britain appears to have collapsed, along with the rest of the Roman way of life. After the Romans left, many local populations deserted Roman towns and buildings. West Saxon invaders from Europe arrived via the Thames, travelling inland into Berkshire in 556. Unlike the Roman invasion, this was a whole people, not an army, and many of the Britons fled or were enslaved. the upper basin of the Thames, bringing paganism. During this era people lost the art of writing, and the population across Britain declined. Christianity returned when the Roman monk Birinius came to the area and baptised Cynegils, king of Wessex in 635. Thereafter Wessex was Christian. Ashdown was one of the greatest conflicts of Saxon times, and a turning point in the history of Danish invasions. Alfred's name would have been a household word in the neighbourhood and, by winning the battle, he began a career that made England "a law-abiding, united and Christian nation and gave her peace for two generations, with institutions and literature" (Berkshire Archaeological and Architectural Society Vol 1.11 No 7). When he died, Alfred left his private estate, including Wantage (Winting) and Lamboum (Lambumham) to his wife, Ealhswith. In 1890, railway workmen building the Lamboum Valley railway found a Saxon graveyard at East Shefford on a high rise of land on the riverbank. Twenty-six graves containing men, women and children with grave furniture, including a broad straight-bladed iron Saxon sword, a necklet of amber beads, a glass vessel, spearheads and knives were found. It is thought that these were Saxons who had married local women, as they had adopted the local system of burying the dead, not the Saxon method of burning. Saxon rule came to an end in 1066, with the Norman invasion led by William the Conqueror. The whole country suffered badly, and the Saxon landowners of the Hundred of Lamboum, which included the lands of East Garston and Lamboum, lost their lands. Land at East Garston, which had belonged to Asgar, King Edward's staller, (provider of the king's horses) was given to Geoffrey de Mandeville. five acres of meadow, and woodland for 40 pigs. The village was valued at £20. Norman law prevailed, bringing considerable changes to life in Fast Garston. Berkshire downlands were now reserved for the royal chase, and there would have been hunting boxes in the area for the use of the king's hunting parties. For ordinary people, it was a time when famine, war and plague had made ordinary people's lives hard. The Crusades of the eleventh and twelfth centuries and the Hundred Years War with France starting in 1346 left the country poor. The black Death of 1349 killed about a third of the population. During this period East Garston church was built, or rebuilt, as there may have been an earlier church on the site of the existing building. Most churches were built on convenient sites close to the manor house, and the present-day Manor Farm may be on the original manor site. Although the manor was not mentioned in the Domesday survey, it was probably included in the 'king's demesne" of Lambourn. the site of "the capital messuage", the original manor house which was the residence of the lord of the manor. Notes compiled from press cuttings in the late 1800s note that in the Forbury, the field opposite and adjacent to the churchyard, there are many undulations indicating earlier buildings. The comer of this field, where a cottage stood until the early twentieth century, is known as Forbury Gate. Forbury Gate Cottage, in the early 1900s now demolished, but which probably occupied the site of original manorial buildings. East Garston was passed down the family from William de London to his son Maurice, to his son William, who was ordered to pay tithes to Hurley Priory. A descendant of de London was ordered to pay a fine in 1222 for marrying her daughter without a licence. In the taxation made by the authority of Pope Nicholas IV around 1291, the rectory was rated at £12, the vicarage at £4.36 and the interest of the Prior of Hurley at Maidencoat at £1.50. 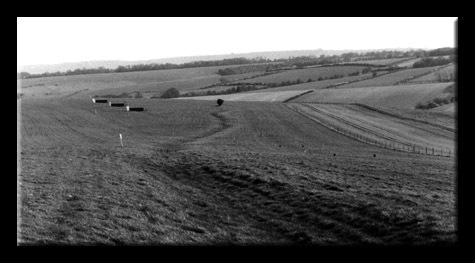 In 1226, King Henry III seized the whole hundred of Lambourn, including East Garston, for the escape of a thief. known as John of Gaunt. Their son. Henry IV, came to the throne in 1399. In 1614, East Garston Manor House contained a brew-house, "Ie folkes chambre". In the early nineteenth century the manor came into the Burdett family, with whom it remained until Sir Francis Burdett sold it in 1919. This curious drawing, a photocopy of which was found in the files of the Newbury Weekly News, is possibly the earliest graphic record of East Garston. 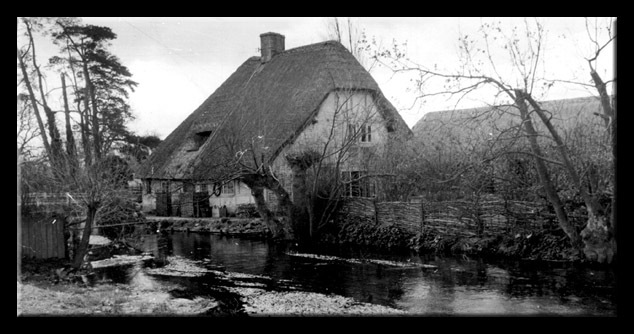 It shows the church and Manor Farm, which probably occupies the site of the medieval manor house. The diamond clock face on the church indicates that it was drawn prior to 1889. The inscription on the back claims the picture to be "3 or 4 hundred years old", but without provenance. There is a gravestone to the Palmer family in the churchyard. Thomas Palmer was the tenant farmer at Maidencourt in 1836, and two Palmers subsequently set up charities for the poor of the village.